Donna Betts, the 62-year-old wife of Forrest R. “Dickey” Betts of Allman Brothers fame, was arrested this week and charged with 18 counts of aggravated assault with a deadly weapon without intent to kill after allegedly aiming a rifle at members of the Sarasota Crew rowing club in Osprey. A Sarasota County Sheriff’s Office report says Betts threatened to shoot team members and coaches about 5:30 p.m. on March 27 if they came onto her property, located at 325 Palmetto Ave. in Osprey. 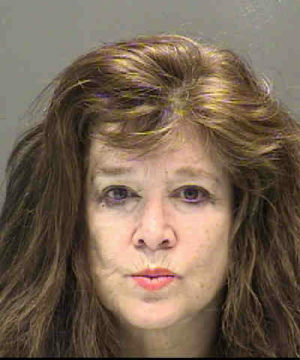 She was released from the jail on March 29 after bond was set at $180,000, the Sheriff’s Office told The Sarasota News Leader. Her arraignment has been set for May 5, Sheriff’s Office records show. Deputies recovered the rifle, the Sheriff’s Office report said. A News Leader check of the counts against Betts showed the victims primarily were female members of Sarasota Crew, ranging in age from 14 to 18. Two coaches — 42-year-old Casey E. Galvanek and 37-year-old Andrew Berster — also were listed as victims. The rowers were getting into the water with their sculls when Betts first appeared on her dock, the Sheriff’s Office report says. “The incident was captured on a cell phone,” the Sheriff’s Office report notes. The video shows Betts “holding the rifle [and she can be] heard yelling at the victims to stay off her property,” the report adds. “The video depicts the fear in the [victims’] voices as they ask why she is pointing the rifle at them and why is she doing this,” the report says. In fact, 12th Judicial Circuit Court records show, a temporary injunction issued in February 2014 by now-Chief Judge Charles E. Williams ordered both Dickey and Donna Betts not to harass members of Sarasota Crew. Sarasota Crew’s website notes that the club relocated from Historic Spanish Point to new facilities at Bay Point at Osprey, home of the Conservation Foundation of the Gulf Coast, in early 2008. Betts called 911 herself at 5:43 on March 27, the Sheriff’s Office report notes, “stating [that] the Crew from Sarasota High School have destroyed her life and she has had it …” The caller identified herself as “Donna,” the report adds. This was not Betts’ first arrest, Sheriff’s Office records show. On Dec. 12, 2012, she was arrested and charged with driving with an expired license for more than four months. 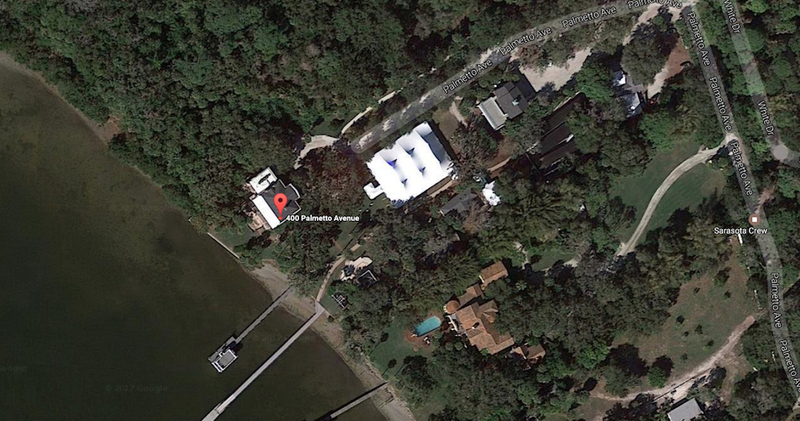 The foundation’s property at 400 Palmetto Ave. in Osprey — known as Bay Preserve — “consists of a large waterfront estate containing a private home and several out buildings and grounds which can be rented out for events, such as weddings,” Williams wrote in his February 2012 order. Sworn affidavits filed in the case indicated that the Bettses on numerous occasions had “harassed patrons and guests of Bay Preserve, including but not limited to attempts to intimidate members of Sarasota Crew, Inc., a local youth rowing organization,” Williams continued. Blowing an air horn from the property line between the Bettses’ property and Bay Preserve. Shouting obscenities at wedding guests. Furthermore, the order noted, affidavits “describe two incidents involving firearms. Specifically, during a meeting of over 150 youth members [of] Sarasota Crew, four (4) gunshots were heard emanating from [the Betts] property. Moreover, the following day, Mr. Betts observed a Sarasota Crew practice with two (2) firearms leaning against his lawn chair. Over 150 youth members were present for this incident as well,” the order said. Additionally, the affidavits mentioned a voicemail left at the foundation offices, “making a specific threat” to disrupt the foundation’s Feb. 8, 2014 Palm Ball. That gala is a major annual fundraising event for the foundation. Subsequent to the incidents, the order continued, one wedding that had been planned at Bay Preserve was cancelled. On Jan. 20, 2015, Judge Rochelle T. Curley in the 12th Judicial Circuit ordered that the foundation’s suit would be dismissed within 60 days following service of her notice, if no activity occurred in the case prior to that time. The order pointed out that nothing had been filed in the matter within the previous 10 months. However, after a hearing in May 2015, Curley issued an order saying, “The Court finds that good cause has been shown” that the case should not be dismissed. The last record on file in the Clerk’s Office in the matter — dated October 2016 — is a notice of changes of email addresses for the foundation’s attorneys, who are with Shumaker, Loop & Kendrick LLP in Sarasota. A News Leader search of Sarasota County Property Appraiser Office records found that Donna and Dickey Betts have owned the 52,272-square-foot parcel at 325 Palmetto Ave. in Osprey since March 13, 1995; they paid $985,000 for it. In 2016, the market value of the land was $1,440,800, while the market value of the two-bedroom, one-bath house was $1,158,000, the records say. The 1,439-square-foot house was built in 1917, the records note. 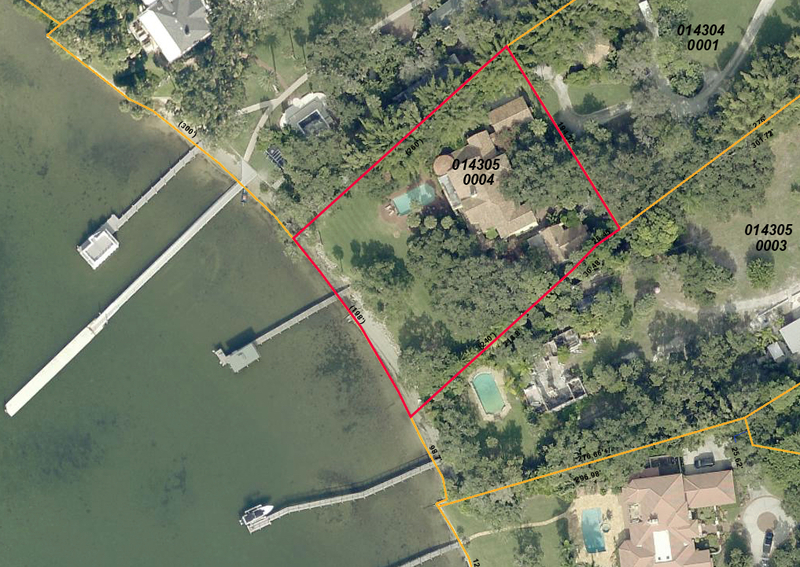 The Property Appraiser’s Office file shows the parcel has a boat dock and swimming pool on it, as well. 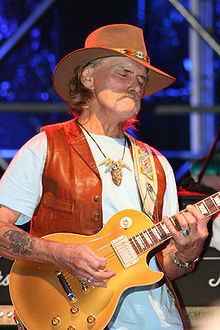 Dickey Betts was inducted into the Rock and Roll Hall of Fame in 1995 as a member of the Allman Brothers. He was ranked No. 58 on Rolling Stone‘s 100 Greatest Guitarists of All Time list in 2003 and No. 61 on the list published in 2011, Wikimedia points out.